This is Julie from Progkast. I had done the Progkast from Feb 2016 and stopped doing the show as of August 2018. However, as stated, I am going to do an occasional show now and again, until I can once again do a regular show more often (like in a couple of years). So right now I am looking at releasing a 2 hour show sometime in the next few month. It will feature some new music from previous Progkast artists, and some new music from new artists. I'm looking forward to this "one off" special show... meanwhile, head over to lccommunityradio.org for Prog Rock Nation which has several Independent artists in each show along with newer well known Prog artists and Classic Prog. 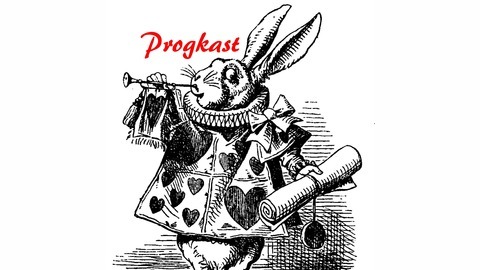 Check out www.facebook.com/progrocknation for upcoming shows and detailed playlists after the show :D Progkast is an all Independent Progressive Rock podcast. Running monthly from Feb 2016 - August 2018, currently Progkast is has a 2 hour release, sporadically... currently probably a couple of times a year. The sister show, Prog Rock Nation is a weekly broadcast radio show streamed on KTAL-LP at lccommunityradio.org and again a week later on CapitalRockRadio.com (formerly Undiscovered Rock Radio). Progkast features independently produced/distributed artists as well as some artists on small record labels. I scour the internet to bring you some of the best obscure and underground music that you've never heard before. I include all sub-genres of Prog including Lo-Fi, Psychedelic, Symphonic, Metal, Fusion, Medieval, Electronic, and Experimental, amongst others. 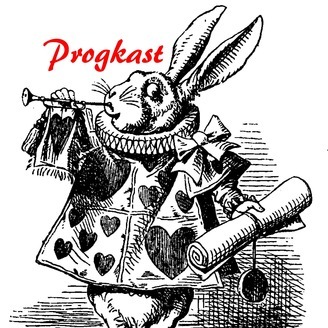 Please like and or follow Progkast and Prog Rock Nation on facebook to keep tuned in for updates, show times/changes and special announcements. :D Progkast is hosted, curated, and produced by Julie Sanchez, curator/host/DJ of Prog Rock Nation on KTAL-LP, 101.5 FM Las Cruces, NM, and former Freeform DJ at KUNM, Albuquerque, NM. Music for this podcast is sourced from Soundcloud, Bandcamp, Free Music Archive, Soundclick, Patreon, Magnatune, and Facebook, among other sources. Any music that is not Creative Commons is played with special permission directly from the artists. Artists, please feel free to send your music for consideration on Progkast (as well as streamed on Undiscovered Rock Radio). :D Please consider contributing to the Progkast patreon site (link below)to keep these shows hosted on Soundcloud. Peace.